Occasionally, I share things on this site that aren't directly photo related, and today I want to share a current project of mine, since it's such a huge part of my life at this time. 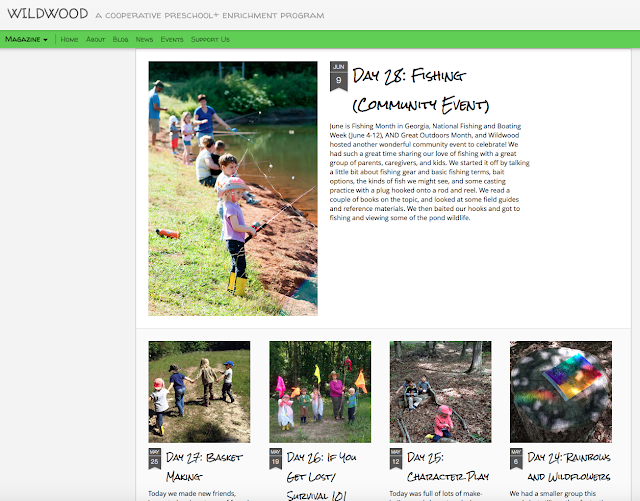 I'm the director and lead educator at Wildwood, a co-op preschool enrichment program in Dallas, Georgia. I head the programming and communications, the website and blog- write the posts, take some of, edit, and curate the photos, do the design work, and lots more. We chronicle our weekly adventures, so if you have young children, you will definitely want to check it out whether you're in our area or not. I'll be focusing on this program a lot over the next couple of months, so posts on the BlondeShot Creative blog will be very light until later this year when we rev back up for the fall and winter seasons. Check out the website HERE, and thanks for the support in all of my endeavors!